STOCKHOLM (Reuters) -- Volvo Car Group forecast record sales and higher profit this year, after strong demand for its cars in Europe and the U.S. tripled its operating profit in 2015. "We will continue to improve profitability, because we have to do that as we look three or four years ahead when we are to reach our target of 800,000 cars and profitability in line with other premium manufacturers," CEO Hakan Samuelsson told Reuters. Volvo is banking on a $11 billion investment program in a string of new models and plants to secure it a firm foothold in a premium market dominated by German heavyweights such as Mercedes-Benz and BMW. Strong sales of the brand's new XC90 SUV helped drive a rise in revenues to 164.0 billion crowns from 137.6 billion in 2014, while a slowdown in China was more than offset by growth in other markets. Volvo said it saw growth in all its main markets -- China, Europe and the U.S. -- underpinning its forecast for what would be a third straight year of record sales in 2016. The upbeat outlook came in the face of concerns about economic growth in China and a slowing U.S. industrial sector that have jarred financial markets in recent months. "I would definitely not say that China is heading in the wrong direction. The U.S. remains good and in Europe we are seeing steady growth," Samuelsson said. "The pace we had in China in the fourth quarter is pretty much the level we are at right now," he said. "So we see that we will grow faster than the market in China and increase our market share. The same is true in the United States." Volvo said the new XC90 SUV helped its 2015 result after the company received more than 88,000 orders for the model by the end of the year, far surpassing its initial expectations. 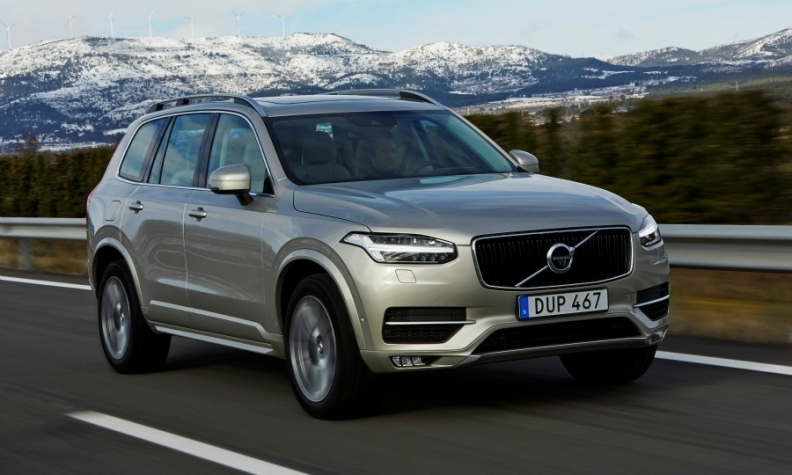 The automaker added a third shift for the XC90 at its Swedish plant. Volvo said it started construction on a new $500m U.S. plant in South Carolina in the second half and the factory is due to be operational in 2018. Volvo has been undergoing a revival since it was bought by China's Zhejiang Geely Holding Group Co. from Ford Motor Co. in 2010.